On April 28, around 80 countries worldwide will mark an official Day of Mourning to commemorate those workers who have suffered work related injuries, illnesses and deaths. The Canadian flag on Parliament Hill will fly at half-mast. Workers will light candles, don ribbons or black armbands and observe a moment of silence at 11:00 a.m. 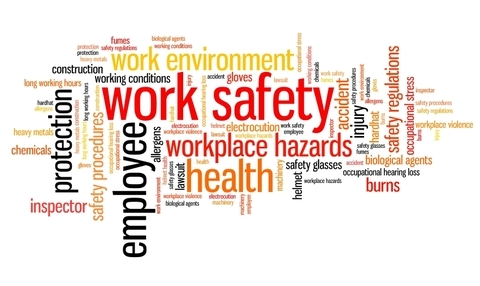 Businesses are asked to participate by striving to prevent workplace deaths, illnesses and injuries, and publicly renewing their commitment to improve health and safety in the workplace. Although April 28 has been singled out, this day is a reminder that making workplaces safer should be a daily effort. The Day of Morning precedes the North American Occupational Safety and Health (NAOSH) Week which is an annual, continent-wide event where employers, workers, and all partners in occupational health and safety collaborate to promote injury and illness prevention in the workplace. The success of NAOSH Week is rooted in a community-based approach. Across the country, NAOSH Week events and activities are coordinated by local, provincial and/or regional committees, comprised primarily of volunteers who share a focus and vision of safer workplaces and communities. Partnerships with government, business, suppliers, CSSE Chapters, community health organizations and other safety groups provide the support, resources and network necessary to manage the NAOSH Week plans. NAOSH week starts May 6, 2018, and ends May 12, 2018. For more information, visit the NAOSH website. On April 28, remember all the workers who have been killed, injured or become ill in the workplace, remember to work safely everyday, and remember to participate in making your workplace safer! Three popular articles this week on HRinfodesk Is drinking at work just cause for termination?